These days there really is no escaping gaming and consoles, most people have one available to them and kids just love them. My husband is much more of a gamer than myself, but I was partial to a game of Paperboy on the Commodore 64 back in the day. Ok, I am showing my age. Nowadays, the games are brilliant, the graphics incredible and the control is way better than anything in the past. Both the boys love playing games, but we try to limit gameplay on their own. As a family, we try to play games together that allow us to bond and have some fun together. 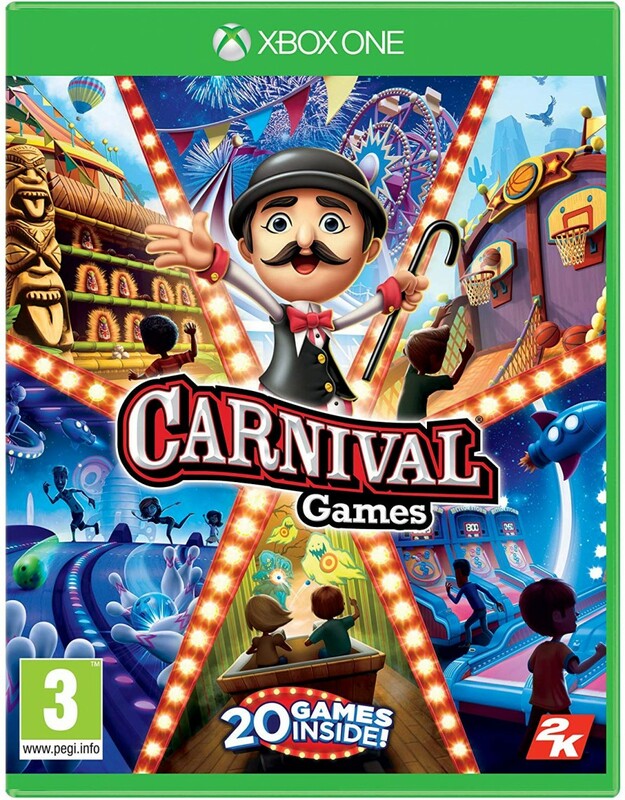 And I have to say the new Carnival Games by 2K does just that. We were sent the Xbox One version as the boys have this console and we got to work trying it out. 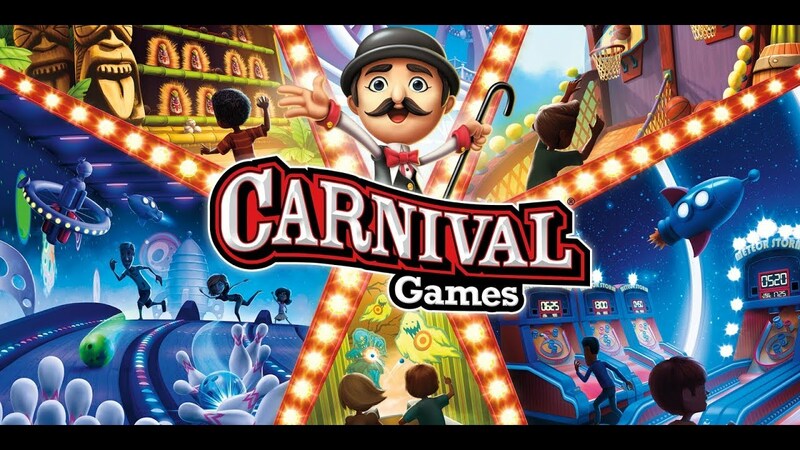 Carnival Games is one of those games that has something for everyone, from those die-hard gamers to the reluctant ones. It is a compendium of 20 different games, from popular to classic sideshow, arcade style games. You don’t have to play it as a family, you can play it as a 1 player game or up to 4 of you can play together. It is great for younger ones wanting to play as you can swap between players quickly and easily so they don’t get fed up. Starting the games is easy and you can pretty much start straight away. However, there are only a few of the maximum of 20 games available, to begin with, which we found was fine. It gave us something to work towards. To unlock the other games you have to play the first ones and earn tickets. Very quickly we had 8 games available and then kept on playing. We haven’t opened all 20 games yet, which is ok. It’s something we are enjoying playing together. Plus, the tickets you earn can be used When you first play there are only a couple of very simple games available and by playing these you earn tickets to open up new games. It took under half an hour before we had 8 games available. Once you’ve opened up all of the games, tickets can be spent on clothing and music and other in-game items. 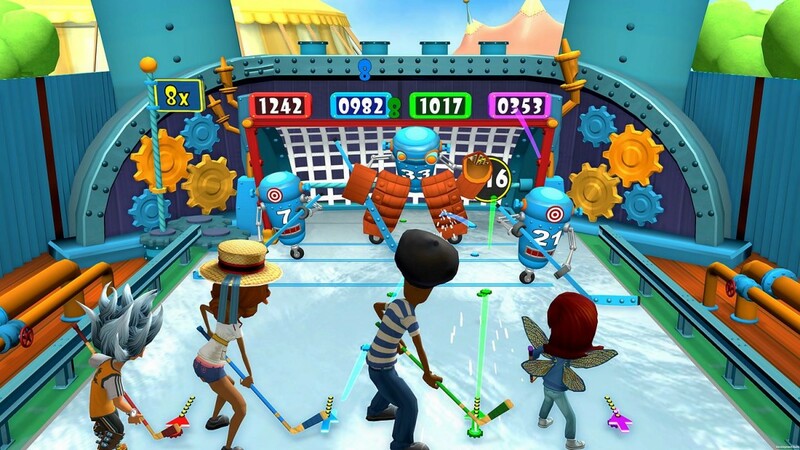 The ice-hockey was one of our favourites with most controls being easy to master, a few are a little trickier, especially when a timer is introduced, but with a little practice, you get there. You don’t want games to be able to be completed on the first try, do you? Due to the different ways each gameplay, it means that anyone can play the games regardless of age or ability. It’s a really fun game and one that can be picked up and played when you have some free family time. The games are split into 4 different sections, Jungle Lane, Vulture Gulch, Nuts and Bolds and Saturn Station. There are different types of games within those sections, a few of our favourites were the drone racing, basketball, where you shoot the hoops like those arcade style games you get at the fair. 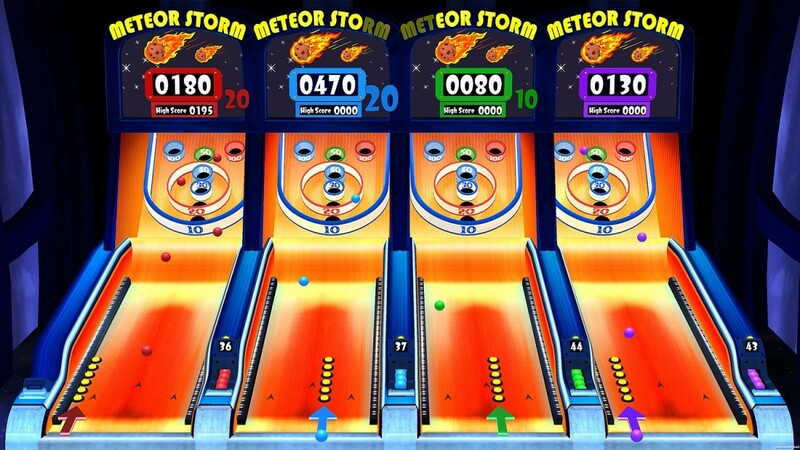 A lot of the games are like those games at the fair or bowling alley, in fact, there is a cosmic bowling game which looks just like our local bowling alley, the kids love it. We are huge fans of Carnival Games. It is fun to play on your own and even more, fun to play with friends or family. There are loads of different games, so you won’t get bored and you can play just for a little while or have a full contest against each other for over 30 minutes. There is everything from baseball hitting home runs to horseracing to stacking cakes to bowling. Everyone will find a game they like regardless of age or ability. The fact you have to unlock parts of the game adds to the interest. I cannot recommend this enough if you are looking for a video game you can play as a family and bond, this is it. It will have you laughing and joking for hours. It is suitable for players aged 3 upwards and with an RRP of £34.99. But, there are a few good deals on it just now. Go on, have some light-hearted fun with this game. Disclaimer:- We were sent this game for the purpose of this review, but all thoughts and opinions are my own.